An online-only game with few players isn't much of a game. 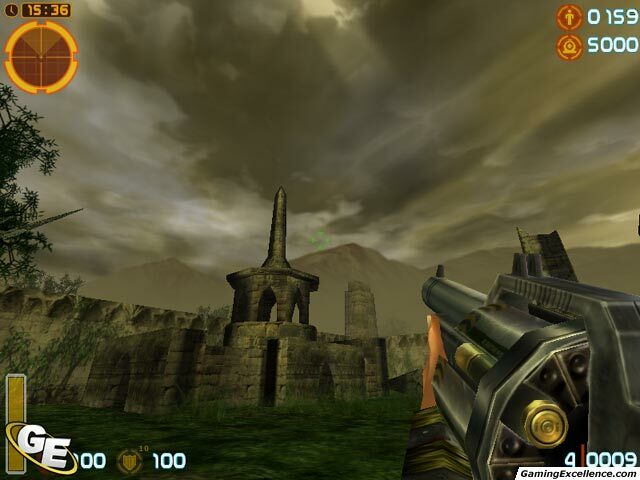 The role-playing elements add a new dimension to the over-used first-person shooter genre. A complete lack of a proper jewel case or game manual and an extremely poor and unintuitive interface make for terrible presentation; poor lighting; bland textures and a legacy graphics engine only serve to worsen the situation; no players online and zero entertainment value sum it up. Is it a first-person shooter or role-playing game, or perhaps a bit of both? Purge is another one of the many recent multi-genre games developed that attempt to take the best elements from two completely different gaming genres and blend them together to produce something both innovative and entertaining. Purge is an online first-person shooter turned role-playing game that emphasizes teamwork and skill over guns blazing to complete the mission objectives and gain experience points. Although the system works on paper, it simply does it pan out in reality, and Purge is clear evidence of this. 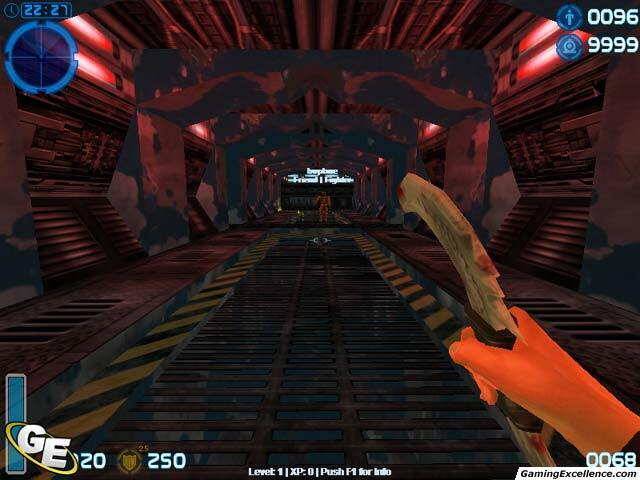 Developed by Freeform Interactive and published by Tri Synergy, Purge is somewhat of a sequel to the Future vs. Fantasy Quake modification created by Freeform in 1996. 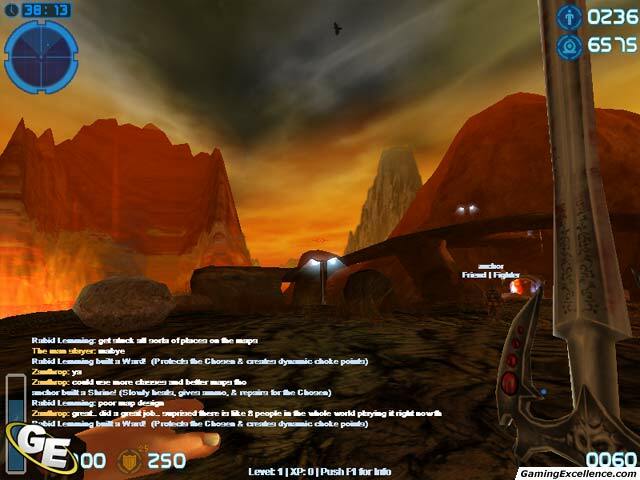 The game attempts to take the same general ideas from the modification and expand upon it to create a larger and more comprehensive online experience. Putting the Order against the Chosen, the game introduces a science fiction versus fantasy, technology versus magic theme, where players must choose their side and work together to improve their characters and defeat the enemy. First and foremost, this is a full game and not simply a modification, albeit it is a budget title. This is immediately noticeable once you open the box; inside there is no manual for the game, only a quick start sheet (the manual itself is found online), and no proper jewel case for the CD. Although for some this may only be a minor issue, it is simply standard to include a proper case for the disc and a hardcopy of the game's manual. With these missing, it almost seems as if the game was left unperfected and unpolished. These minor oversights are a major issue, especially for those who do enjoy reading the hardcopy material. 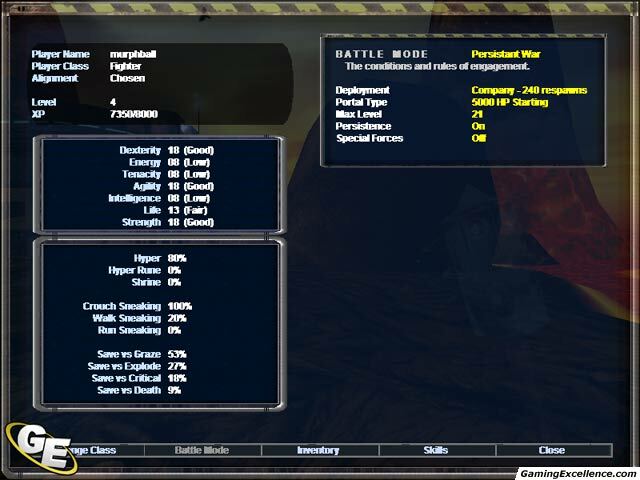 With that said, the game also has much to offer the player with its skill system and many different battle modes. 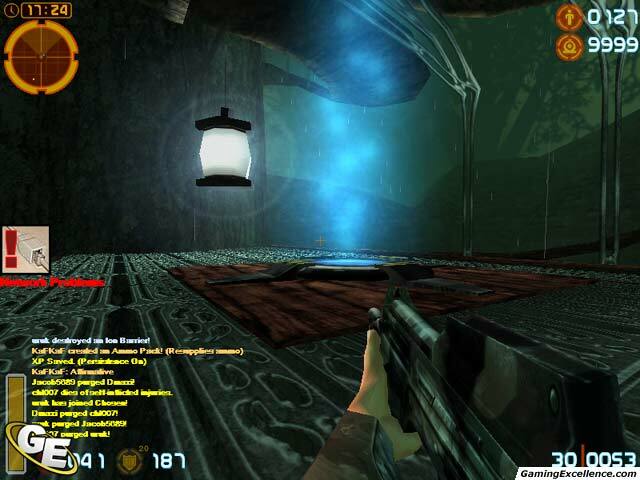 It features eight playable classes, four each from the Chosen and the Order, thirty-two available weapons and fifteen different maps. On the role-playing side, players have the opportunity to choose a pre-made subclass or customize their character's starting attributes themselves. There are seven attributes in total, four of which are physical and three are mental. Each character class has three unique skills and each level gained by a player increases all attributes by one point each. All experience and levels gained are reset after a map change unless the server has persistence mode turned on. As for the graphics, Purge is not in any way revolutionary. It uses the outdated Lithtech Talon engine (with slight modifications), and delivers graphics accordingly. The textures are low quality and fairly bland, and the character models are nothing special either. Lighting effects are almost non-existent, but when noticeable are poor at best. 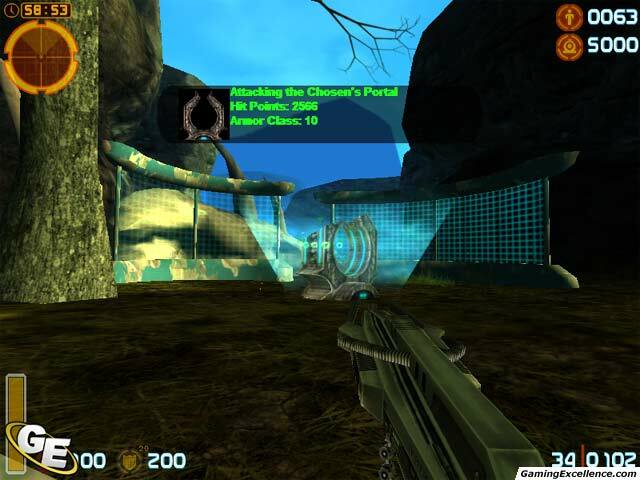 There are several glitches in this area also; with slow and extremely choppy performance, even on a higher end machine, this game does not come near contending with any of the recent (or not-so recent) free Half-Life mods. Counter-Strike and Day of Defeat are two that come to mind that I would recommend downloading over purchasing this game. Although the graphics are just as outdated as in this game, the team play is unparalleled. Purge has extremely poor menu interfaces, which are very confusing and unintuitive even after hours of gameplay and the on-screen text from player chats is extremely difficult to read because of the bad choice of font. These and other problems, as well as the poor graphical performance of the game will frustrate many players after only a few minutes of gameplay. The game also employs a poor physics engine, in which character movement seems very unnatural and that has many bugs. 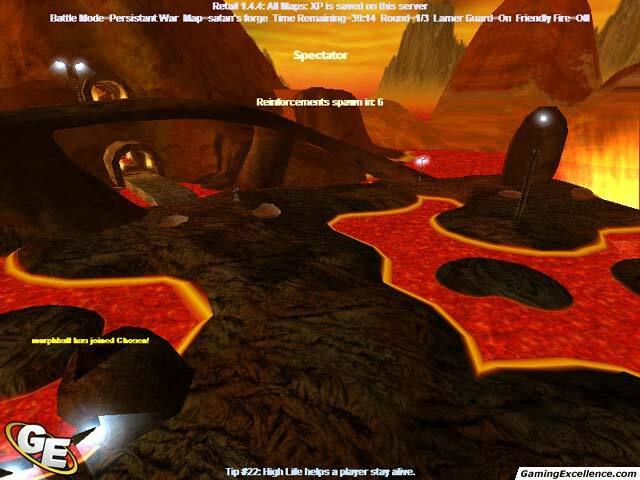 The most annoying and prominent of these is players getting stuck in various parts of the levels, on seemingly level ground and in a multitude of other areas. 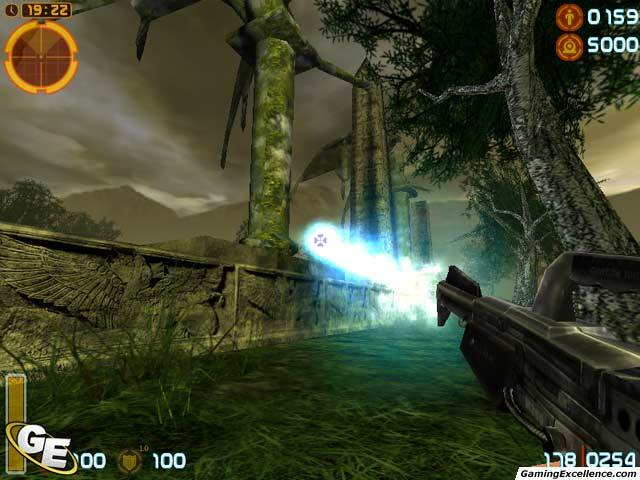 This occurs in all levels and most often near hills or the edges of the levels, overall this leaves the player uninspired and further damages the replay value of the title. Another area severely lacking in this game is the sound department. All sound effects are of extremely low quality, coming off as very unnatural, synthetic if you will. 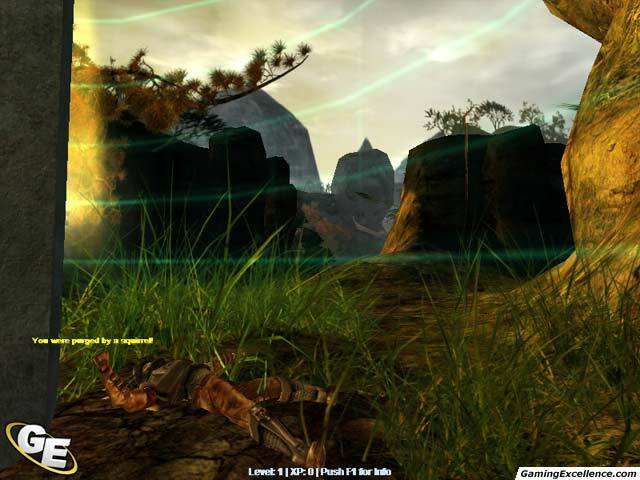 Sound effects involving character movement, such as footsteps, are simply horrible, and the title provides few ambient sounds in the background. 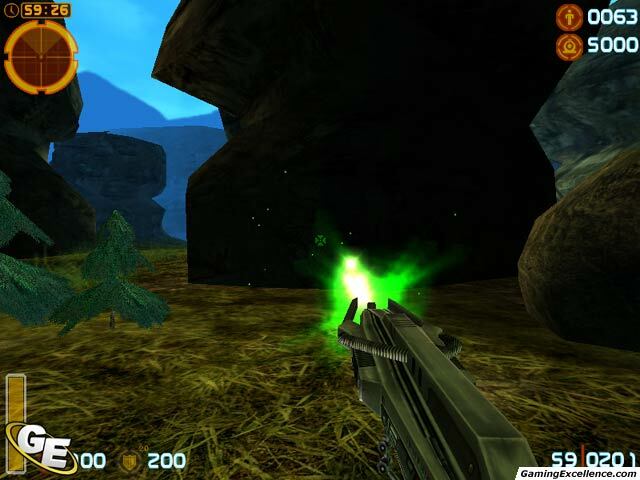 Overall, the game is all too quiet, with no background sound effects or even a soundtrack to occupy the player between shooting down enemies. To top things off, as the level ends there is extremely poor speech employed to signal the win or loss of the round. This is another aspect very poorly produced and takes away from the overall entertainment factor in the game. With many available battle modes, such as normal war, super war (a team deathmatch), persistent war (experience points remain between rounds), tactical ops (you only live once), persistent ops, special ops (no gain in experience) and custom games, Purge offers a multitude of gameplay opportunities. As an online shooter, it has many innovative ideas to give to the genre, but its gameplay simply does not deliver. The sense of urgency in the missions is non-existent, forcing most players to simply chase down the enemy instead of working together to complete the objectives. The role-playing elements seem to be a decent idea for and addition to the game, but do not seem to affect gameplay at all. The developers must have missed the polishing stages in this department, as it seems unfinished and in dire need of improvement. Other problems dragging this game down include the painfully slow load times while connecting to a server and the lack of servers online. At most, there were eight servers online (with absolutely no filters turned on), and most of the servers were always empty. 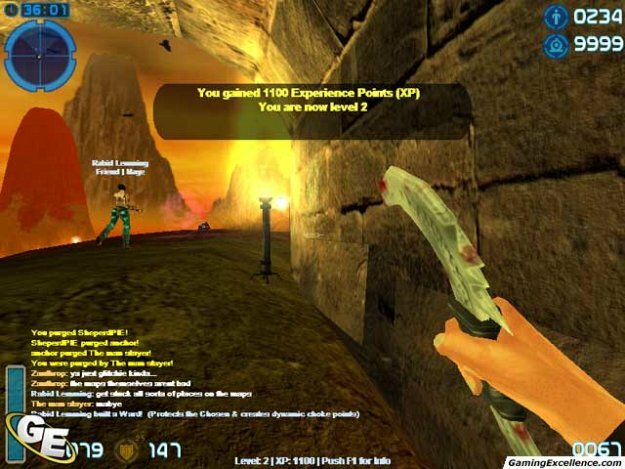 The game lacks a community of players required by online games (and found still for Half-Life, a game that was released five years ago). The average number of players online was about six during peak playing times. This poses the largest problem for the game; that it is almost impossible to play and that it does not offer a single player mode. Even a single player version of the multiplayer battle modes with computer-controlled AI bots would have been a welcome addition to this otherwise horrendous online game. If you are looking for a CD that makes a good coaster, then you've likely found one with Purge. 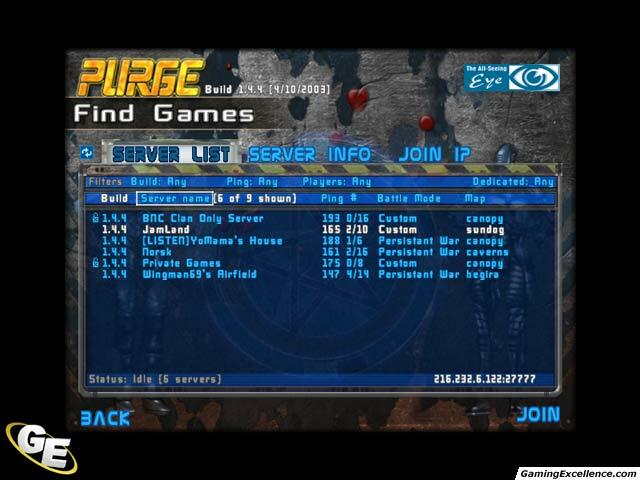 If you are seeking out a solid online shooter or hybrid thereof, look elsewhere as Purge simply isn't able to deliver. It is an unpolished mess of a game with an absolutely horrendous presentation, poor audio and an unintuitive interface. No wonder so few players are online.